Paul launched MyBuggyBuddy in Oct 2008. 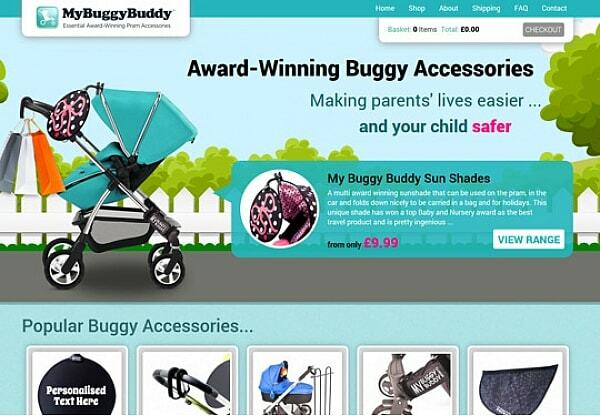 Specialising in safety and practical accessories for pushchairs and buggys, it became an instant success and as the business grew, the pressure was soon on Paul to employ an ordering and customer management system. Unfortunately, Paul unwittingly selected one of the mainstream DIY website builders which utilised the Flash programming language. 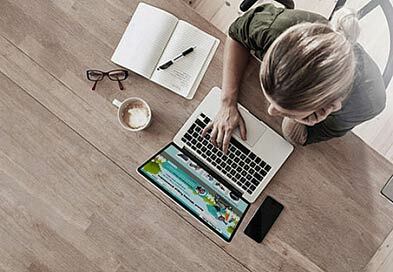 As Flash became obsolete and stopped working on newer devices, online orders on his website dropped. Since Paul only had the MyBuggyBuddy logo in a low resolution format, our first step was to recreate it as a vector form and bring it up to date. This meant that Paul now had the option to enlarge the logo for signage or posters without losing any of the quality. 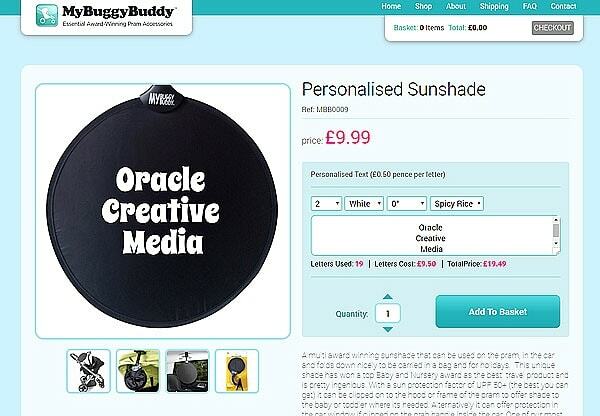 Not only did Paul urgently need a functional website to replace his now defunct one, he also wanted the option for personalisation added to his product line. This meant custom-coding a user interface that allowed the customer to add some text, such as their baby's name, in a font and colour of their choosing, and see it on-screen as it would appear in real life. We also implemented an uncomplicated backend system which allowed Paul to directly and easily add new products and manage his sales and customer lists. We presented the website with a little, cute animation to appeal to new parents, create a memorable impact and to set MyBuggyBuddy apart from any competitors. The new website did the trick, and Paul has enjoyed a return to form and steady increase in sales ever since.